Notos, the personification of south wind, sometimes a gentle breeze, sometimes the bringer of storms, has given name to the piano quartet founded in 2007. Participation in workshops with the Fauré Quartet and Mandelring Quartet as well as with Arnold Steinhardt (Guarneri Quartet), Valentin Erben (Alban Berg Quartet) and Menahem Pressler (Beaux Arts Trio) has made a great contribution to the development and professional growth of the quartet. It has earned recognition on international stages such as Wigmore Hall in London and Concertgebouw in Amsterdam and raised audience’s admiration at well-known festivals like Schwetzinger Festspiele, Festspiele Mecklenburg-Vorpommern and Rheingau Musikfestival. 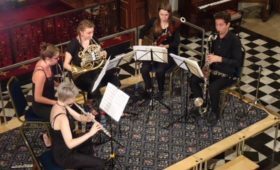 The Notos Quartet has been heard on several major broadcasting companies such as the BBC, Dutch Radio Classic and German SWR. In 2012 it went on a concert tour through South East Asia invited by the Goethe Institute. The Notos Quartet has won several international competitions. The highest recognition in the young career of the Notos Quartet so far has been winning the 2011 Parkhouse Award in London, perhaps the most important competition for piano quartets, as well as receiving First Prize at the Charles-Hennen-Concours in Holland only a few days later. 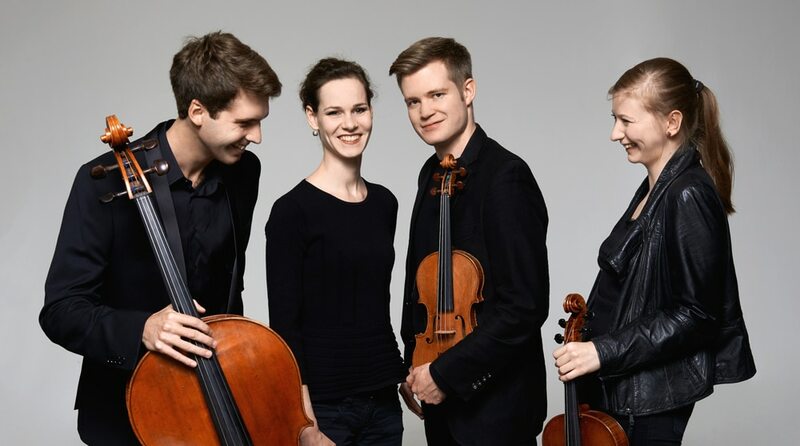 In 2013 the Notos Quartett won the second prize, the audience award and the prize for the best Brahms interpretation at the Concorso Internazionale di musica ‘Città di Pinerolo’. 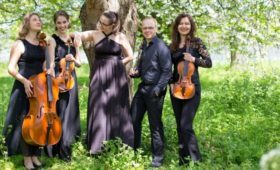 From the start of its career the Notos Quartet has been equally highly praised by the audience and critics. Its freshness, brilliant interplay and intelligent interpretation have a universally convincing effect. 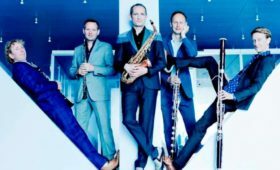 Conveying its own fascination with music to its listeners is what makes the concerts of the Notos Quartet an especially enjoyable musical experience. Florian Streich plays a Testore Cello from 1745, Milano, kindly provided to him by the Hoenes Stiftung – Museum Villa Rot.